In 2013 Dennis Wingo had a dream. 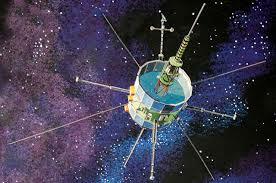 That dream was to make contact with the ISEE3 satellite and see if he could bring it home to earth. With the help of a crowdfunding campaign, he began to make that possible. The International Sun/Earth Explorer 3 (ISEE-3) satellite was launched August 12, 1978, into a heliocentric orbit of the earth. This was one of a trio of spacecraft designed and built in joint effort by ESRO/ESA and NASA. Its purpose: to study the interaction between the earth’s magnetic field and the solar wind. ISEE3 become renowned for being the first satellite to chase a comet, in 1985, when it passed through the tail of Giacobini-Zinner. In 1997, NASA suspended routine contact with ISEE3, making only brief status checks in 1999 and 2008. 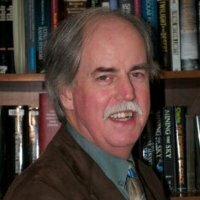 With over 36 years of experience in the computer, academic, and aerospace industries, Wingo and colleague Keith Cowing (Space College/Spaceref) recognized the importance of rebooting the project. In collaboration with NASA, Wingo started by assembling a team of engineers, programmers, and scientists. The team also had the use of the world’s biggest single-dish radio telescope—the Arecibo Radio Observatory. The mission was designed to assess the stability of the probe, and bring to life the science instruments onboard. Although NASA told Wingo that there was no funding available to support the ISEE-3 mission, they did feel that data generated by the probe would have real value and that the crowdfunded effort would be beneficial in terms of education and public outreach. The team faced a number of challenges including locating the original commands and developing a software version of the original hardware to enable them to communicate with the craft. They also had to come up with enough funding to locate and analyze old documentation, create a virtual communication system and to cover the overhead involved in the operation of a large dish antenna. Wingo and his team set up a crowdfunding effort with RocketHub in April 2014 with a target of raising $125,000. By May, 16 they had exceeded their initial goal and extended the effort with a “stretch goal” of $150,000. When the effort ended on May, 23, the total raised was $159,602 raised by 2238 funders. According to Wingo, his team didn’t have much time to prepare for the crowdfunding project. He explained that part of the crowdfunding success was due to the fact that the project had a pretty good following, because of their previous crowdfunding effort in 2012, which raised $62k for the Lunar Orbiter; a space project that won a lot of public acclaim. “Surprisingly the overlap (in donors) was not that great. In our previous efforts it was mostly the space geek community. For the ISEE-3 effort it was amazingly diverse and global. Though the average amount pledged was lower, there were far more people involved,” said Wingo. Though the team was hopeful about meeting their goal, they were not expecting such a high level of interest from the public or the media. The crowdfunding campaign also garnered interest from Google, who provided major logistical and in kind support for the project. One of the unforeseen challenges of the campaign was having to ship gifts to non U.S. donors, which drove up costs significantly. If he had to do the project over, Wingo says he would strengthen fulfillment to donors, making sure that so many small donors (more than 2000) were gifted within an appropriate time. Thanks to the ISEE-3 Reboot Project, on May 29, 2014, two-way communication was once again established. On July 2, the Reboot team were able to fire the thrusters for the first time, since 1987, although this endeavor was not as successful as they had hoped, due to insufficient nitrogen pressure in the satellite’s fuel tanks. 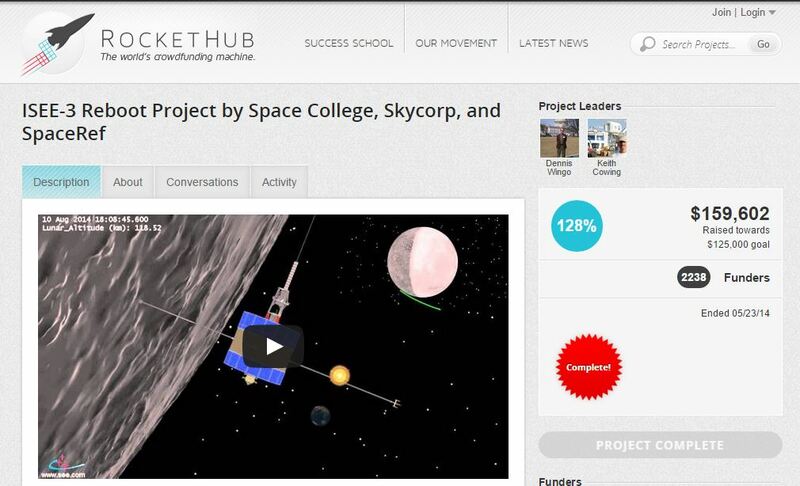 This has been the second largest crowdfunded space project to date.